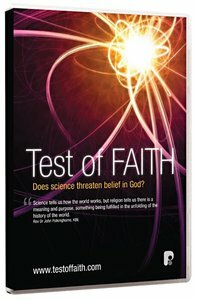 About "Test of Faith (Dvd)"
Customer Reviews For "Test of Faith (Dvd)"
This short book contains ten unique testimonies from some highly distinguished Christian thinkers who are also scientists at the top of their game. Contributors include Francis Collins, John Polkinghorne and Alister McGrath. It is a credible, thoughtful and encouraging compilation which establishes that no conflict need exist between mainstream science and Christian theism. If you're interested in really pursuing the issues facing current science, and wanting to do it with theological and intellectual integrity, this DVD is a great resource. The driving force behind it is the UK-based Faraday Institute for Science and Religion, drawing upon eminent thinkers such as Alister McGrath, Francis Collins and John Polkinghorne. The DVD is not afraid to pose the toughest questions of its interviewees, who honestly and thoughtfully engage. Whether you are already well acquainted with the science/faith interface, or if you're still wondering whether they can even co-exist, this DVD will be a blessing to all.